‘Joe Dirt 2’ was released earlier this week. I have the absolute pleasure of being able to share my thoughts and feelings on what I believe will one day be recognised as a true piece of art. Hope you enjoy Movie Mingler’s first movie review*! ‘Joe Dirt 2: A Beautiful Loser’, is the long- awaited sequel to the quiet classic ‘Joe Dirt’, the dramatic tale of one man’s emotional journey to find himself. At heart, ‘Joe Dirt 2’ is a subtle tale of one man’s isolation in a time where there is an obvious unfair divide in class culture. Our protagonist, ably performed by method actor David Spade, realises his character symbolizes the 3rd class as a whole, as he struggles to be noticed in a world that treats his kind as a leper. Joe turns to humour as a defense, and as such… the jokes elicit multiple reactions. While casual moviegoers may laugh at the seemingly “low-brow” jokes, more astute scholars of film will recognise the humour is a coping mechanism for our protagonist, a way for the lower class citizens such as himself to ignore their segregation and live in denial of their apparent “true” place in the world. Joseph Dirt longing to clean up a world divided by class. Don’t despair, ‘Joe Dirt’ has a hidden and very endearing message for those who pay attention. For while ‘Dirt’ conjures up images of grime and filth, is it not necessary to bring life to the very plants that sustain us? As such, our protagonist’s name is a metaphor about the first class’s reliance on the lower class subculture. ‘A Beautiful Loser’ understands that without the influence of victimized men and women like Joe, society would ultimately crumble. This is further realised in a subplot where Joe’s wife Brandy (Brittany Daniel, also known for her stellar portrayal of Megan Vandergeld in the subversive ‘White Chicks’) falls apart without Joe in her life. As the viewer recognizes her as a symbol of the high-born culture, her downward spiral into an overtly promiscuous junkie reinforces the reliance first class citizens have on the lower ranks. While all the supporting cast play their roles superbly (there is not a single weak link in this perfectly manufactured chain), special mention must be made of the spectacular Christopher Walken. Mostly known in the film industry as the go-to Straight Man, Walken subverts audience expectations by playing the odd-ball, in an exceptional turn we’re unlikely to see him ever play again. If there were anything to pick on in this movie, it is one crude scene viewable in the trailer, in which our hero Joe, branding a chainsaw, parodies Star Wars by quoting “Luke, I am your Logger.” The scene is an obvious bit of meta-commentary, with the line (representing December’s ‘Star Wars: The Force Awakens’) almost completely drowned out by the sound of the saw (representing Joe Dirt 2, and perhaps its impact on cinema this year). Yes, this film is a culturally significant phenomenon that will likely overshadow the long awaited Star Wars sequel, but when you are telling a story about the importance of the under-dog, mocking the poorly timed “The Force Awakens” seems a little hypocritical. Overall, Joe Dirt 2, like its predecessor, is a film that requires multiple viewings in order to truly understand its complexities, as well as its nuanced look into the human condition. I’m not saying that ‘Joe Dirt 2: A Beautiful Loser’ is the ‘Citizen Kane’ of the 21st century. 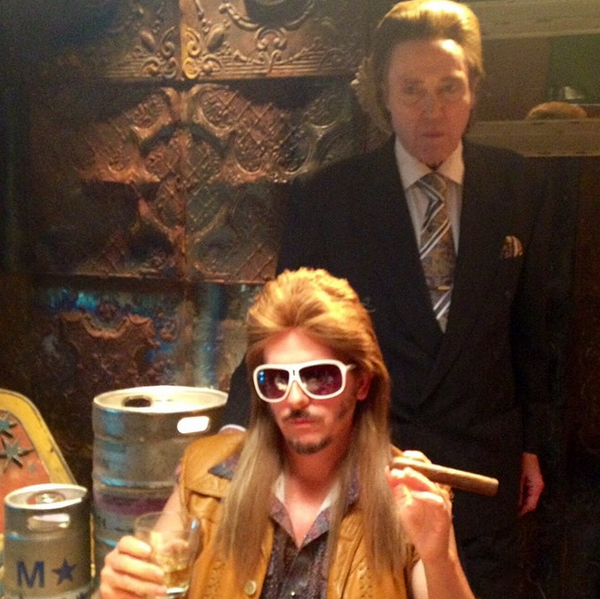 What I am saying is that if Orson Welles were alive today, ‘Joe Dirt 2’ is the movie he would aspire to make. 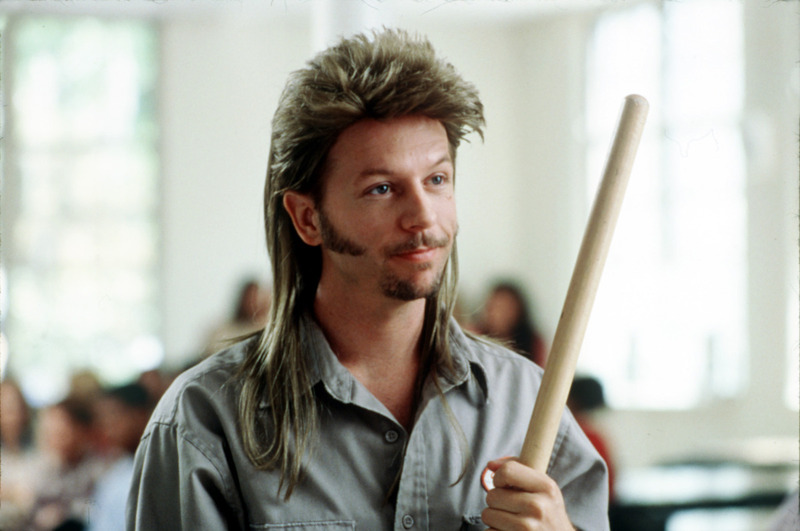 Joe Dirt 2: A Beautiful Loser is on Crackle now!